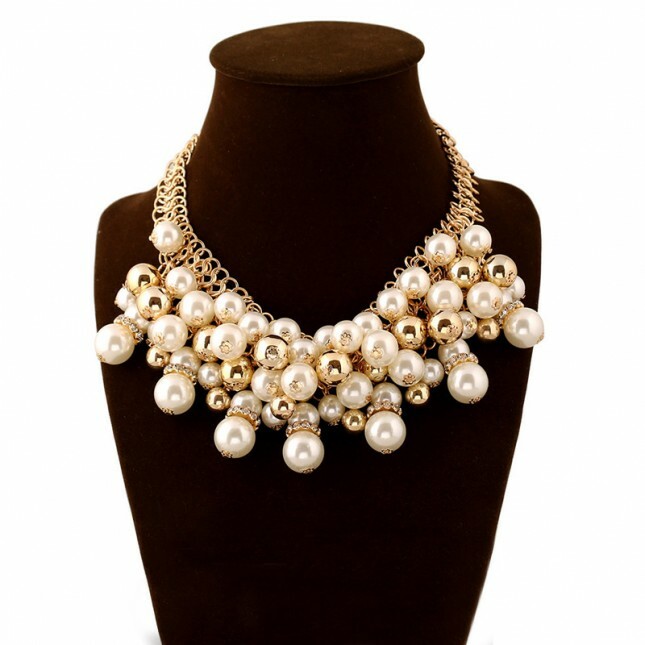 Bring unexpected bohemian style to your everydaylife or party by this beautiful big pearl statement necklace. 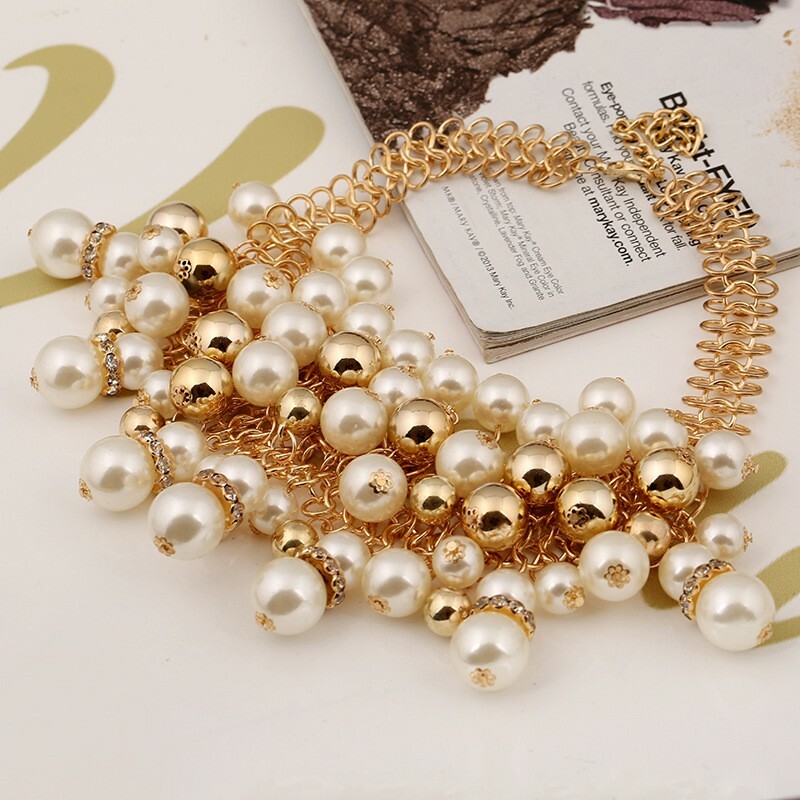 This choker necklace made with white round imitation pearl, layering row design, the metal alloy chain length 10 cm, cute lobster clasp lock. 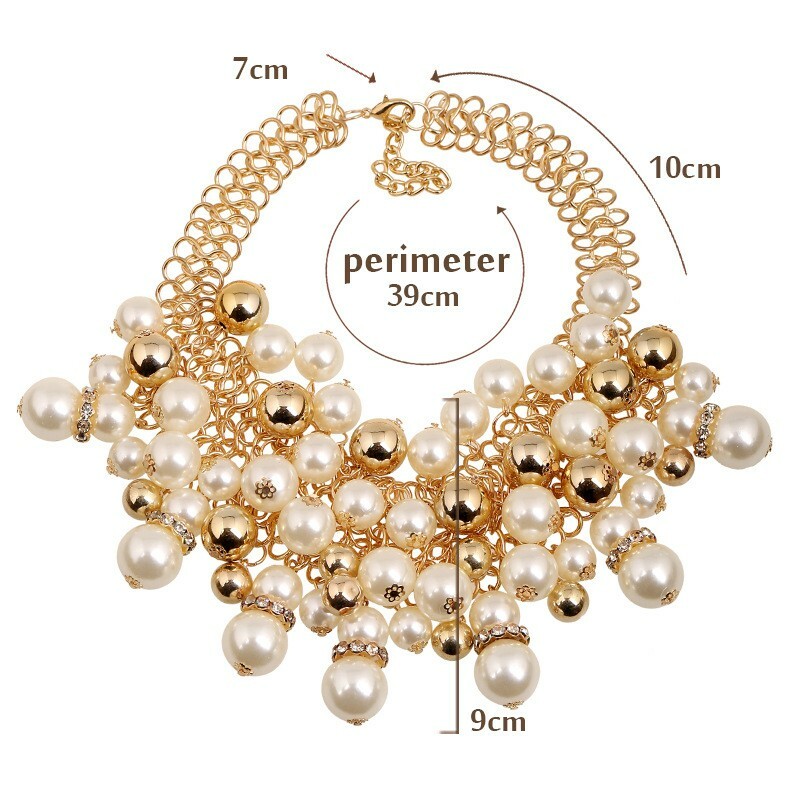 Approximate perimeter 39 cm, and 7 cm extender.